Among VRonCloud’s , the 12D VR Chair can be used as adventure game equipment in amusement parks, and will provide an engaging and magical experience to users. 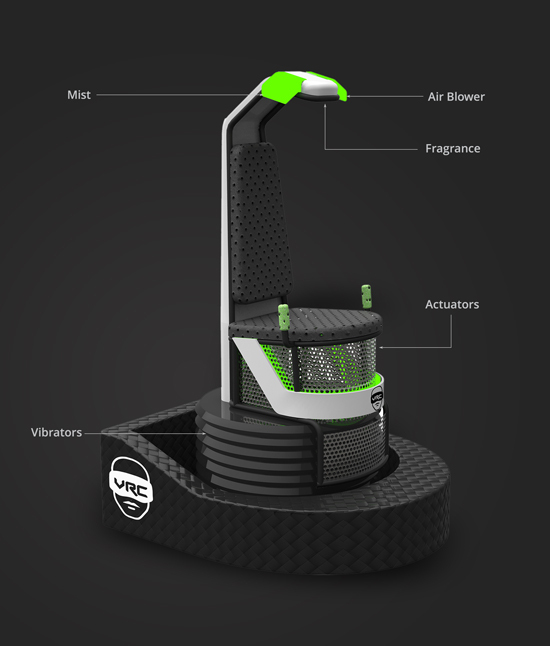 It offers a variety of simulations including wind, vibration, fragrance, water mist etc. It can be used both outdoors and indoors, and can be placed in parks, squares, museums, clubs etc. It can be used for fairs, store openings, exhibitions etc. It will help your brand and business to quickly attract attention and traffic. Note: You can decide on your own, or after looking at the local market, the experiences per day and the ticket price. 12 is the average number of experiences you can have in an hour, considering one experience to be 5 minutes long. If the time exceeds 8 hours a day and ticket price exceeds 5 USD, the income will be much higher.